I found these messages in front of the museum this morning: 2. 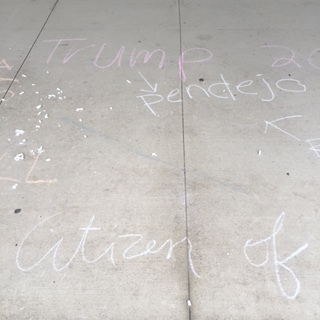 So I bought some chalk and invited people to react: 3. It worked!